A creamy New York cheesecake lightly flavoured with vanilla, on a biscuit-crumble base. Blueberry Cheesecakes for everything Cheese! Cheesecakes are flavor and richness rolled into one and blueberries just give it the much needed flavor without adding too many calories. The quest to design perfectly baked, textured and presented cheesecakes has led our confectioners master the art of baking American cakes. The blueberry cheesecake at Smoor is a creamy New York cheesecake lightly flavored with vanilla, on a biscuit-crumble base. We offer blueberry cheese cake delivery in Bangalore hence, spread your love and extend best wishes to your family and friends . 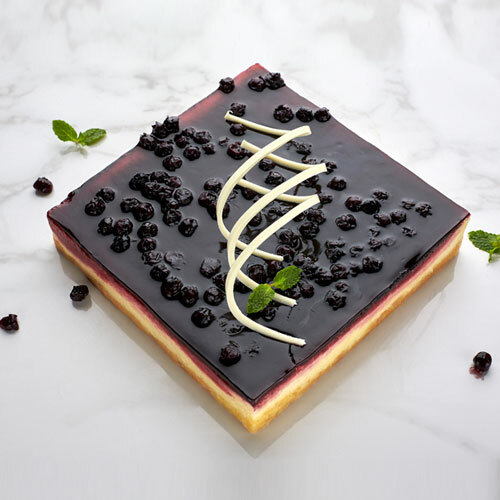 You can browse through our entire collection of cakes at Smoor’s cake shop to buy blueberry cheesecake online. Relish happiness with a bite of the softest cheesecake at the Smoor lounge in Bangalore, experiencing an ideal customer service. We strive to leave an everlasting impression on you, so every time you think of cakes, you think of us.